Is there no help for those with black walnut trees? 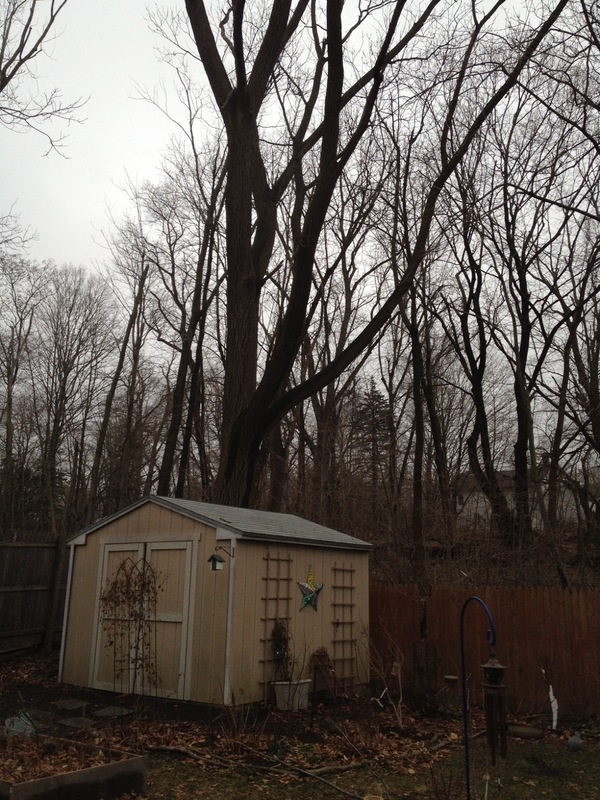 Hiding behind the shed is a very large black walnut tree. 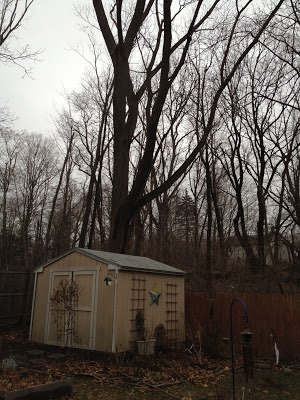 When we were completing the home inspection on our house, the previous owner pointed out the large tree as a demarcation for the property line (since our property is not fenced in). "That tree right there, that's your property," she said, pointing to the large sturdy tree I was unfamiliar with. "And if you ever cut it down, you'll get some good money for it, since it's a black walnut tree." I tucked that information away and didn't think much of it. I had never seen, experienced or dealt with a black walnut tree previously, so this didn't raise any red flags, as it most likely would have with more experienced gardeners. Over the last four summers, I've attempted to grow a variety of things in our back garden. Some survive, but most struggle. It wasn't until the last couple of months that I started to take the black walnut trees presence seriously. My mind began to wander. Maybe that rhodendron that won't bloom, maybe that's due to the black walnut. Or the hydrangeas that appear stunted... or maybe that winterberry or kousa dogwood didn't die from vole damage, but instead from juglone poisoning. With a little more research, I learned that black walnut trees are indeed valuable for their lumber, since they are so straight. But certain plants - let me correct that with many plants - cannot grow in the presence of a black walnut tree. That's because the tree emits a chemical called juglone, especially in the nut hulls, buds and roots. According to The Mortem Arboretum, "The highest concentration of juglone occurs in the soil directly under the tree's canopy, but highly sensitive plants may exhibit toxicity symptoms beyond the canopy drip line. 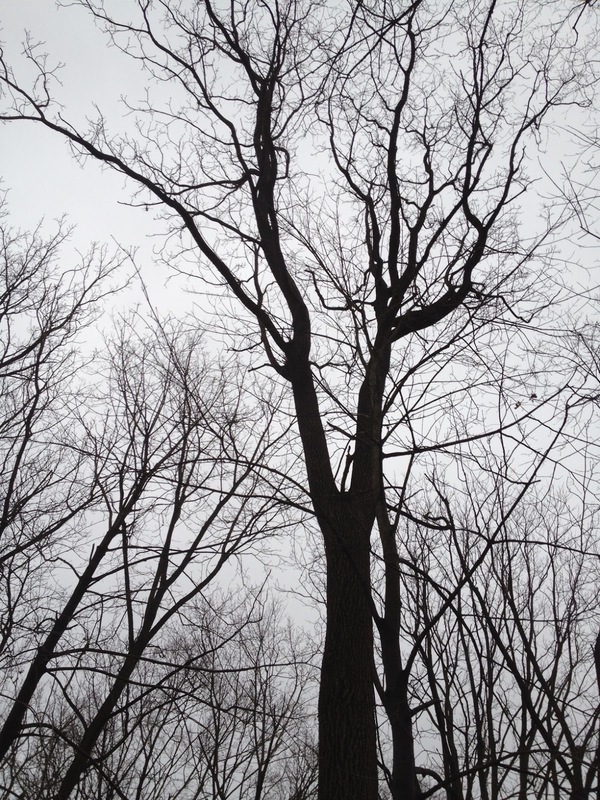 Because decaying roots can release juglone, toxicity may occur for several years after a tree has been removed." I visited the Massachusetts Horticultural Society booth this past week at the Boston Flower Show and started off my question with, "So I have these black walnut trees in the back of my garden..."
The woman's face scrunched up as she said, "Ohhhhh." "I know," I said, reacting to her expression. "I was wondering if I could make raised beds to keep the plants roots away from the soil?" She admitted that she had never heard of anyone attempting this before, but if I was to do it, I should line the bottom of the bed with black plastic (with the disclaimer that she hardly tells anyone to use black plastic in the garden) because it might help keep the soil from being contaminated. "But," she added, "You'll have to be vigilant with raking away the leaves, fallen branches and nut hulls, because that can contaminate the top of your soil." The more I tried to be earth friendly and make my own compost, was I actually sabotaging my garden? But I did add my compost to the cold frame this past fall and the lettuces are fine, so it didn't add up in my mind. I stumbled upon another article by Ohio State University, which cleared things up a bit: "Walnut leaves can be composted because the toxin breaks down when exposed to air, water and bacteria. The toxic effect can be degraded in two to four weeks. In soil, breakdown may take up to two months. Black walnut leaves may be composted separately, and the finished compost tested for toxicity by planting tomato seedlings in it." West Virginia University adds to that, cautioning that the compost may still have some juglone remaining. In fact, the more people I ask for advice about what to do with a black walnut tree give the same grimace and suggest maybe I should cut it down. The only problem is, despite the fact that the juglone will remain in the soil despite the removal of the tree, is that I really like trees. Killing off trees that are healthy and been around longer than I have been seems wasteful and selfish to me. On the list of plants that can't tolerate juglone and corresponds with poor performance in the back garden, are lilac (which I moved and is flourishing out front), flowering tobacco, petunias, baptista, peony, hydrangea, rhododendron, mountain laurels and some viburnums. The only plant that is suppose to be sensitive but flowers every year is my pink azalea. Maybe I'll continue to say a little prayer over that plant that the black walnut roots don't reach it. I've already come around to the idea of making the back garden full of plants that can tolerate a little juglone, which luckily already include some that I have planted out there, including fern, chrysanthemum, black-eyed Susan, daylily, hosta, bee balm, daffodil, shasta daisy, beautybush and witch hazel. Although not officially on the list provided by the Morton Arboretum, I'm including holly since that has been growing in size of the past four summers. Apparently yes, according to West Virginia University. "...decreased toxicity seems to be associated with excellent soil drainage, even among sensitive species. Thus, any steps that can be taken to improve drainage, such as additions of organic matter or replacement of existing soil with a lighter type, should tend to minimize toxicity problems in a garden area." The next step for my little garden won't be cutting down the trees. I'm going to try and move the most sensitive plants away from the back garden. Those that can't take the full sun that the front garden offers I'm going to attempt to put in raised beds. I'll have to be better about keeping a list of juglone-sensitive plants with me in the future, so I don't introduce further problems. Who said gardening was ever easy?